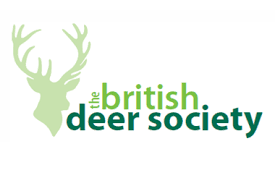 Our Highly qualified professional deer stalkers have operated throughout the UK, from dealing with Red deer in the highlands to Hampshire Roe damaging Christmas Tree plantations. Increasingly we are also seeing landowners wishing to control the ever expanding Muntjac populations. With no natural predators, deer are becoming more and more of an issue and the importance of a professional management plan is now becoming a necessity for deer control. Our team can advise on all methods of management and provide all estates or landowners with accurate population studies and deer counts, from which a professional plan can be agreed. With a large selection of various rifles and off road vehicles we can happily tackle any assignment. We can also assist where a resident stalker may need a helping hand to tackle large scale culls. All our dedicated team are DSC level 2 and are not only members of BDS, but hold certificates for humane dispatch and shooting certificates cards for MOD land. We can also offer Deer Proof Fencing and will always strive to give the most competitive quote. For farms and estates wishing to benefit from selling stalking rights we can happily manage this on their behalf. We have a full set up at Landmark so this can be expediently put in place and with our expert knowledge and user friendliness, this will help ensure repeat deer control bookings. For further information, please contact the team to discuss your needs.